While I was taking my recent break from racing, I ruminated on what my future in endurance sports might look like. After three-plus years of medical treatments, I had come to believe that I'd just always have to deal with "the breathing thing." Unless I learned to manage my breathing with more consistency, every goal I made would be steeped in uncertainty. Only one thing was certain — I am no longer interested in stubbornly gutting things out for the sake of gutting them out. I do not want to spend another minute of my life at that ragged, gasping edge. Fumbling forward through desperately hard breathing and dizziness isn't "Type 2 Fun." I don't just not enjoy this experience — I fear and despise it with every fiber of my being. My passion for racing is driven by a desire to "live intensely" and my breathing difficulties cause the opposite — a sensation of slowly dying. With that in mind, as recently as October I still believed I might just quit racing forever. But I am a creature of habit. And for an avowed pessimist, I have a streak of abiding optimism as well. I still enjoyed good weeks, effortless rides and runs when miles flowed out of my legs like music. I still wanted to visit the hard edge — not the edge where I feel like I'm dying, but the one where I feel most alive. But where do I go with this desire? 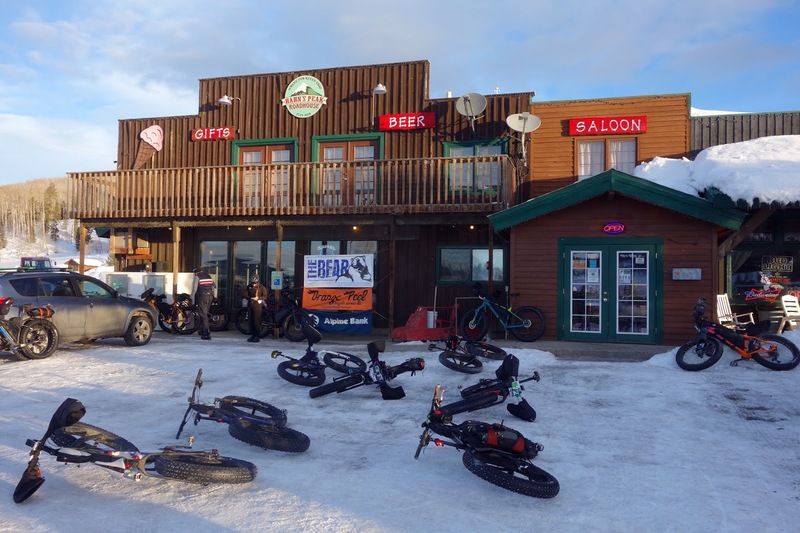 I can't just pick up the shattered pieces of my passion and continue to climb the ladder where I left off — the upper rung being the 1,000-mile ride to Nome in 2016. During one of my good patches last August, I started riding with a new friend in the region who's a relative novice in endurance racing. 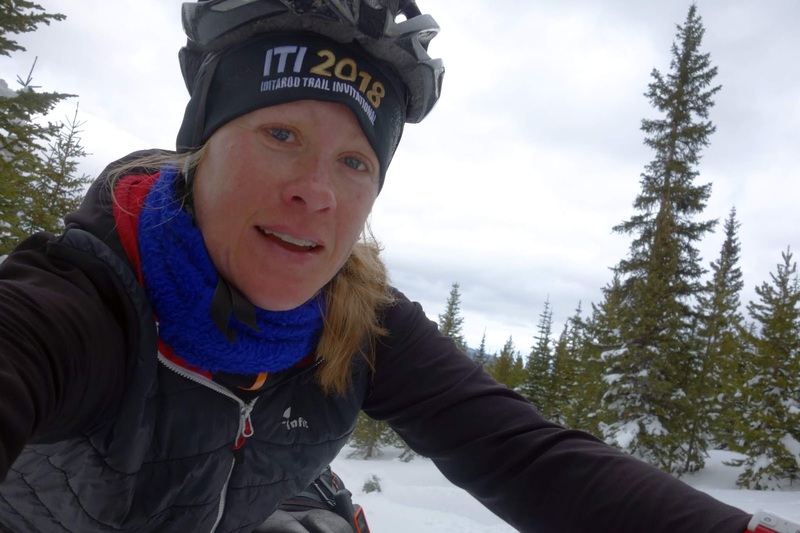 She started dabbling in competitive fat biking about a year ago, and wants to keep climbing that ladder. She has big dreams, and I envy the newness of her journey — the wide-eyed experimentation, the willingness to learn and change, the difficulties and discoveries. I've done what I can to pass some of my experience on to her. In turn, she's helped me realized where I need to go — back to the beginning. 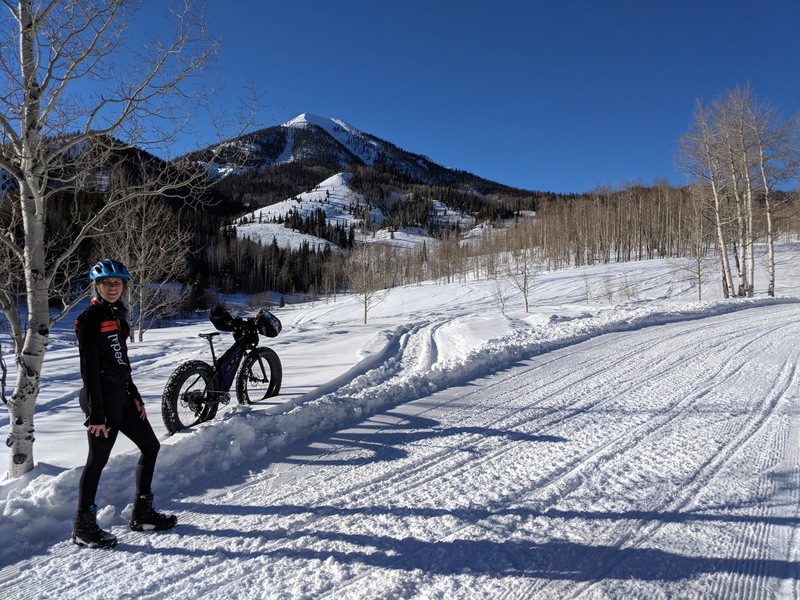 Betsy wanted to sign up for The Bear, advertised as a 50-mile fat bike race (it was closer to 45 miles) in the mountains north of Steamboat Springs, Colorado. 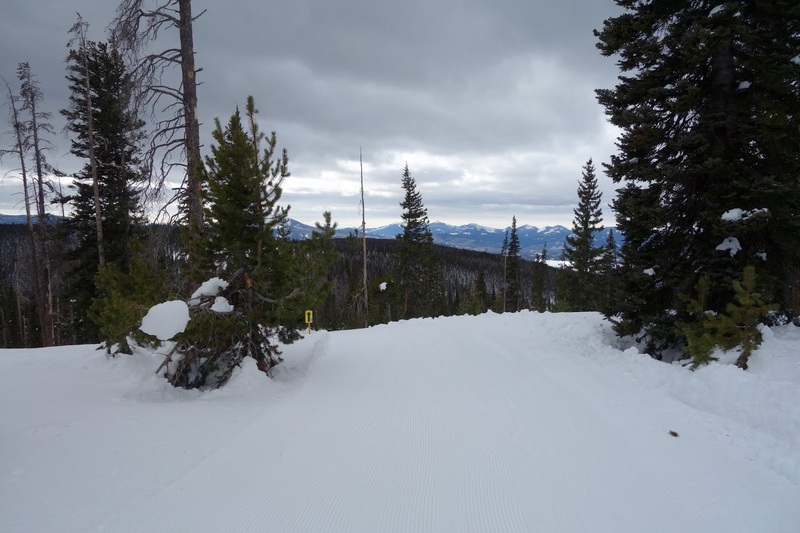 The course, wrapping around big peaks and ridges on groomed snowmobile trails, had more than 5,000 feet of climbing. My feelings about The Bear wavered from "but I'm terrible at mid-distance bike races" to "that's still going to be a tough effort" to "wait, this is Colorado fat biking. It's probably going to be a 16-hour slog." None of these convictions created much desire, but Betsy was so excited for her longest race yet, and some of that excitement transferred over to me. The Bear did sound like a fun event. Shortly after I returned from the Christmas trip to Fairbanks — which gifted me with considerably more confidence in my fitness — I signed up. We made a fun weekend out of it, heading out Friday morning under blazing sunny skies. 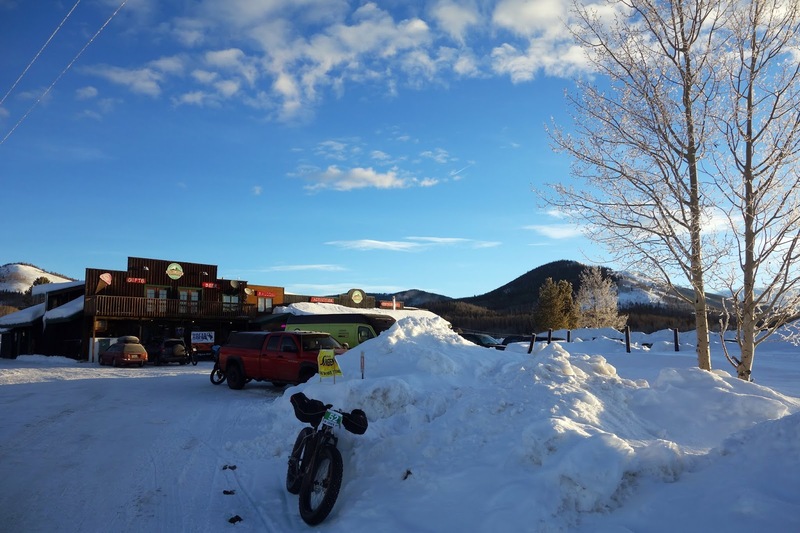 We stayed at the start — a rustic and Alaska-like place called Hahn's Peak Roadhouse — and shared a small cabin with Betsy's teammate, Mark (Betsy is part of a bike shop team.) It was great fun to meet many of the folks racing the next day. This sport draws in an eclectic and eccentric group of cyclists. Still, at least compared to the Alaska contingent in winter endurance racing, these folks seemed to skew toward the athletic and serious end of the spectrum. For a small race, there were a number of sponsored riders, semi-pros, and according to Betsy, fast ladies (There were nine women in a field of 33, which is solid percentage.) I suppose we are in Colorado, after all. We arrived early enough on Friday to pre-ride the course. Afternoon temperatures were in the high-30s. I almost let all of the air out of my tires in anticipation of mashed potato slop, but held off when Mark mentioned he planned to start at 6 psi. 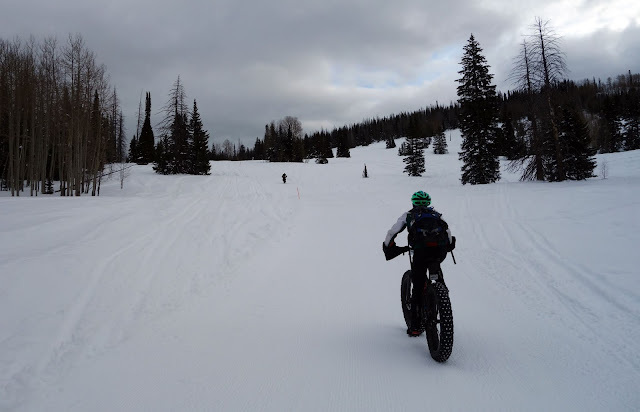 See, I am still a novice when it comes to fat biking in Colorado, and there's much I can learn from these folks. We set out for the first five miles of the course, which in itself had more than 1,000 feet of climbing. Mark just shot up the hill. "Whoa, is Mark fast?" I asked Betsy. Trail conditions were surprisingly solid despite the warm temperatures and blazing high-altitude sunshine. 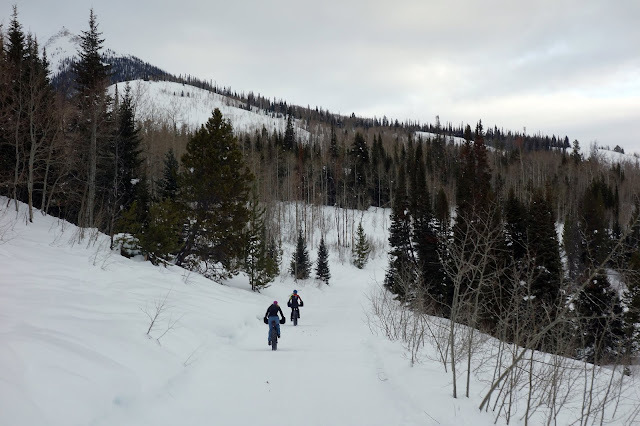 The trail was a bit churned up by snowmobile traffic, but rideable, even on the steeper inclines. I was shocked. It was such a beautiful day that I wanted to just keep riding. We were halfway up the first big climb when Betsy expressed trepidation about burning out her legs right before the race. It was such a gorgeous day with beautiful buttery climbing that I was like a husky on a harness, eager to run and run. Left to my own devices, I probably would have kept riding until dark, and that wouldn't have been great for my legs either. Save it for the mid-distance "fast" race, Jill. I have much to learn. The race started at 8 a.m. Feb. 2. Groundhog Day. The date was significant for me. Like many children of the 80s, this pseudo holiday conjures up memories of Bill Murray, repetitive experiences and finally breaking free after an eternity of mistakes. I was racing again. Sure, I had my share of rough experiences and failures, but this time would be different. This time, I would just ride and breathe. Ride and breathe. That's all I had to do. So simple. Why hadn't I thought of this before? I am still a creature of habit, and came fully prepared if the riding and breathing strategy didn't work out. Watching the weather before the race, with pre-race snow dumps followed by warm temperatures and another big storm forecast to hit that night, I showed up for the race prepared for a 16-hour slog. I had a day's worth of food, emergency repair and survival kits, and enough extra warm layers to wait out a possible breathing attack. My initial gear list would have doubtlessly made all of those fast guys shudder. Luckily the pre-ride convinced me to remove half of the stuff from my bike bags. I probably should have removed all of it, but the pessimist in me will never allow such hubris. So I was a bit loaded down, but my legs felt springy as we launched uphill through the mountain village and onto freshly-groomed corduroy. For the first five miles, I rode in a tight pack of four to five ladies with no dudes in sight. Betsy and I traded positions on the rollers as the morning quickly warmed from a brisk 2 or 3 degrees to the teens and then 20s. The groomed track was coated in a thin layer of spindrift that caused slipping on the steeper climbs, but beyond that conditions were just about as good as they can be. The first climb steepened and I developed my race strategy — at least the one that was a bit more specific than ride and breathe. My watch was set so I could monitor my speed and heart rate. If my pace dropped below 2.5mph, I'd step off the bike and push, because that was more efficient. If my heart rate climbed above 155, I'd back off further, as that "Zone 4" territory is where my oxygen saturation seems to drop off right now (this number has been much lower in the past, but my recent tests have shown ongoing improvement and boosted my confidence to push little harder.) Rough breathing in Zone 4 is probably pretty normal. Still, once I lose control of my breathing, everything after that has always been a downward spiral. So a conservative approach toward maintaining control was my overarching goal. Here I am pushing my bike up the second big climb, an intense 20-percent grade where the groomer decided to climb straight up a drainage rather than follow any kind of nicely graded track. (Also, the helmet. Almost no winter cyclist in Alaska wears a helmet while nearly everyone in Colorado does. I actually wavered on this because even in warmer temperatures, wearing a helmet makes my ears feel cold. But once you get started down these hills, speeds easily approach 30 mph, and hidden ruts can make for spectacular yard-sale crashes. Helmets are a really good idea.) Anyway, this climb was a mandatory big effort with my heart rate sustained in the high 150s for almost 45 minutes at 10,000 feet and I did not feel dizzy. Do you know how huge this is for me? I don't think many folks understand. The view from the top of the climb, which continued to follow the rolling spine of a ridge for five miles. Hikers like to call these hills "Pointless Ups and Downs" because they're endlessly steep and gain no real altitude. But since we were already at the top, I loved this section. I'd coast downhill at high speed and then stand on the pedals and mash a big gear until my legs faltered to nothing, then I'd jump off the bike and push. 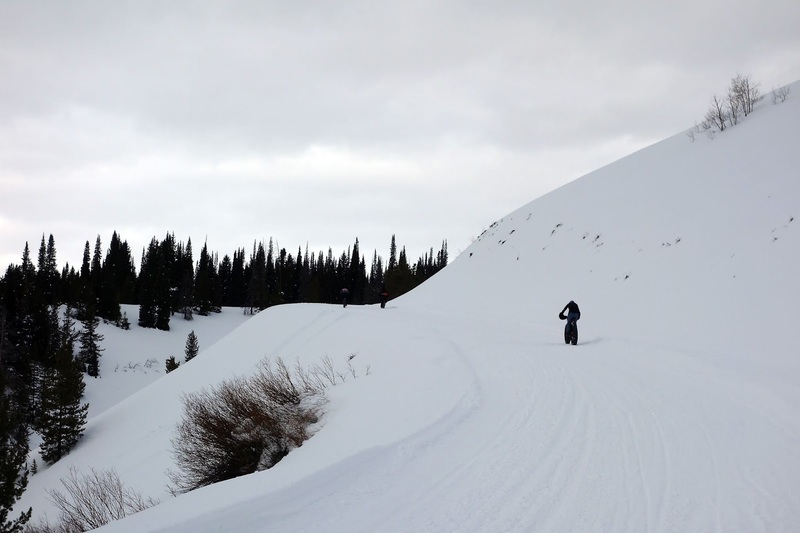 While approaching one of the climbs, a couple of race marshals stopped their snowmobiles and began filming. I was in far too high of a gear but continued to mash the pedals, just to save face, until I felt like I might faint and faltered off the bike. "Oh, so close," the guy filming groaned. "Thanks dude," I grumbled under my breath. Race photographers are so good at capturing the most humiliating moments. The descent off the ridge was fast and fun and more than a little bit scary. And just like that, I'd looped the top half of the course's figure 8 and was back at the aid station with just 10 miles to go. I felt great, like this race was just getting started, and was disappointed that it was almost over. Ah, mid-distance racing. I shot past the aid station because I was still carrying way too much food and water. All I could have accomplished there was standing around and getting cold. Derek — a veteran of multiple tough Fat Pursuit races who would definitely win the award for the most entertaining Bear racer — was standing under the canopy working on his third shot of whiskey. He chided me for not stopping. After the turn from the aid station, trail conditions rapidly deteriorated — the result of temperatures in the 30s and heavy snowmobile traffic now that it was after noon on a Saturday. A woman, Beth, pedaled past me shortly after I stopped to air down my tires. Should I try racing now? I wondered. I was feeling really good, and with less than 10 miles to go I didn't have a lot to lose by pushing my pace. Beth cut a track through the mashed potatoes and I did my best to hold her line. She was strong. My legs and lungs were just barely able to hold on. During a long descent, she disappeared from view. I nearly caught back up along a half-mile segment of pavement. Then we hit the final, steep, extremely churned up climb. 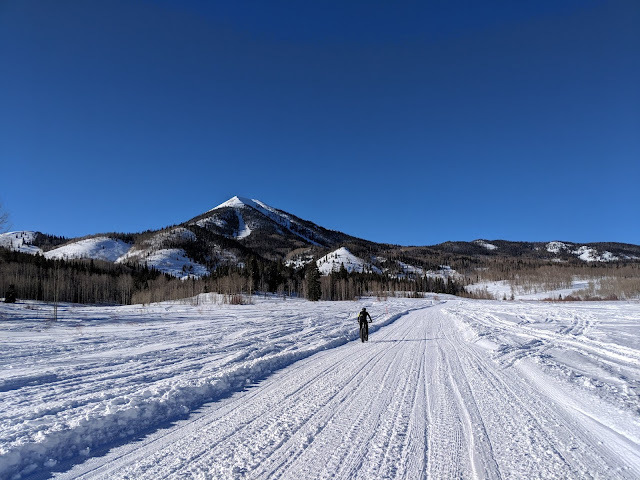 I did that thing where I cling to an "I'm good at dragging sleds" mentality and try to push my bike as fast as the folks around me are riding. I managed to pass two men, but couldn't keep up with Beth. She was burying me. My resolve was slipping. One thing I lack, sometimes much to my dismay, is true competitive drive. Beth was still in sight as we neared the final descent, which was squirrelly and scary with a huge drop into a ravine to the right. I was all over the trail while skidding with locked brakes at 7 miles per hour. Beth was gone. "Let the better rider win," I said out loud. (I knew we weren't battling for first woman. But any mid-packer will tell you that they race who they race, and that can be just as fun.) Yes, racing is fun. It's not worth breaking an arm. Beth finished a full five minutes before me, which really shows me how far behind I am in my snow handling skills. But I did skim into fourth place after six hours and 21 minutes. 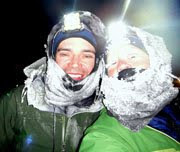 I finished around a large contingent of dudes, including Graham, the Kiwi former professional rugby player who is training for the Iditarod Trail Invitational 350 and raced fully loaded. We stood around at the gas pump telling our war stories and sharing tips about racing in Alaska. Mark, who'd finished two hours earlier and was already showered and rested, came out to join the party. Betsy finished about 90 minutes later, tired but satisfied. The best finish of the race, however, was Erika, who rolled into the roadhouse after dark, after the awards ceremony was completed and more than 10 hours had passed. Her drivetrain imploded and all she could do was push or coast. But since she was also training for the ITI 350, she knew she needed a mental victory and resolved to walk it in rather than quit. Invaluable training in fortitude. All in all, The Bear was a fantastic, fun, well-organized event. If the timing works out I'll definitely be back, but I'll be even happier if they reinstate a 100-mile event. WOW! Glad to hear you had a GREAT day out there...you sure deserve it! Hope you have MANY MANY MORE this year and in the years to come! Congrats on a great day. Yay!!!! :) That was fun to read and I can only imagine how great it was to be out there. Sounds like your training style of banging on that "3 bear sweet spot" ,so to speak, is making great changes to your body! You pushing a loaded bike at a HR of 150's at 10,000ft for 45min....being mostly a flatlander I can only imagine..:)..I like that focusing in, pushing max but leaving something on the table to hit next time. "effortless rides and runs when miles flowed out of my legs like music." Wow! Cool race! Congrats on the new sensations. That sounds like a blast--great job and I'm glad you felt great! 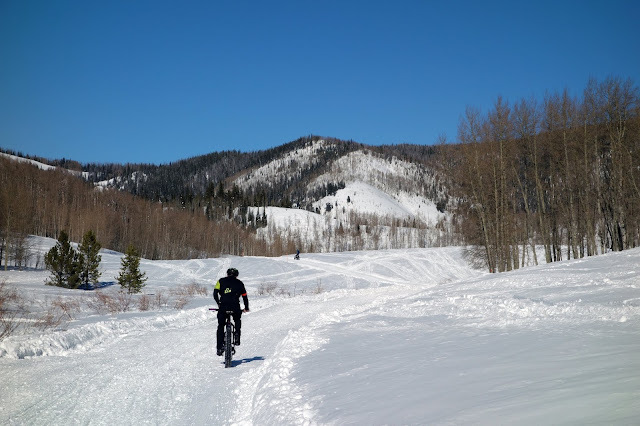 I am doing the SBT GRVL gravel race out there in August and am looking forward to just doing my own race and exploring the Steamboat area, enjoying those gorgeous views. My friend is riding that race as well. Sounds interesting! 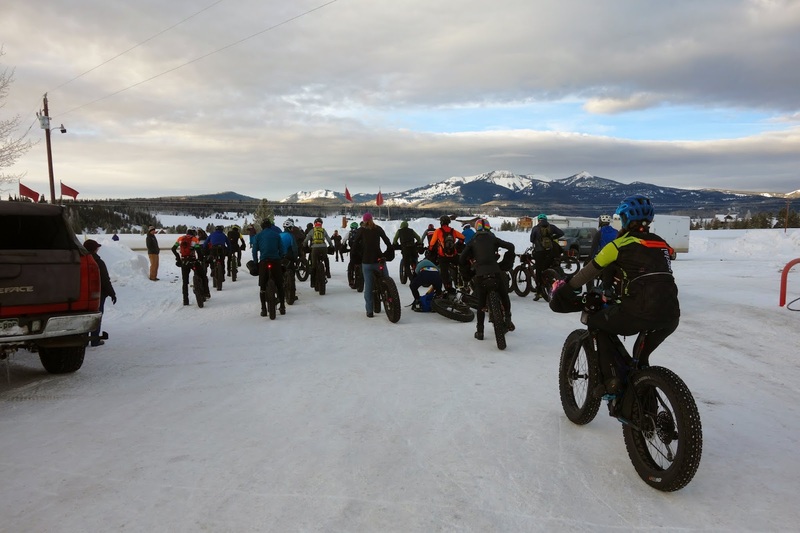 The Bear race director announced he's putting together an unsupported 200-mile bikingpacking race over the first weekend of August. I'm considering it. Glad you had a good race, Jill! But, dang, those trails look like roads! I suppose they probably are. Looks weird from an Alaskan perspective. And starting with 6psi? The past couple of years I've started with 20psi unless I absolutely know that's too much. I figure letting air out is a lot easier that putting it in. I often can ride fine with 20psi. Sometimes it requires some nimble bike-handling skills, but I figure more psi=less rolling resistance. Those Steamboat trails are groomed forest roads. They're great! Wish we had more terrain like that closer to home. 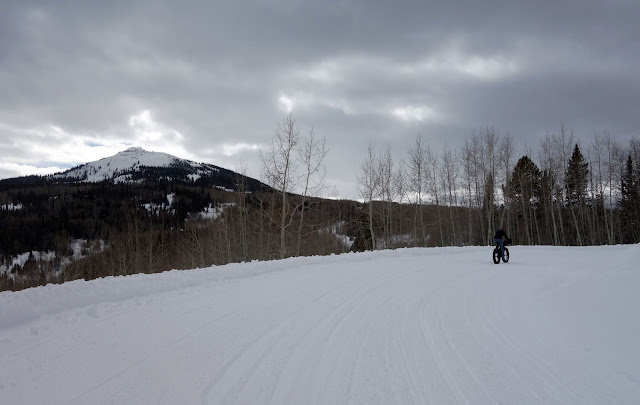 You need to spend more time riding warm, feathery light, wind-tossed, constantly replenishing Colorado snow, and you will understand how 20psi is maybe okay for pavement, or if you want a really great workout digging 4-inch-deep ruts into the trails. The other day after a few inches of new snow I started at 10 psi to ride around my neighborhood, thinking it was best to cut down to the dirt, but couldn't get any traction and ended up going for bouncy float instead. 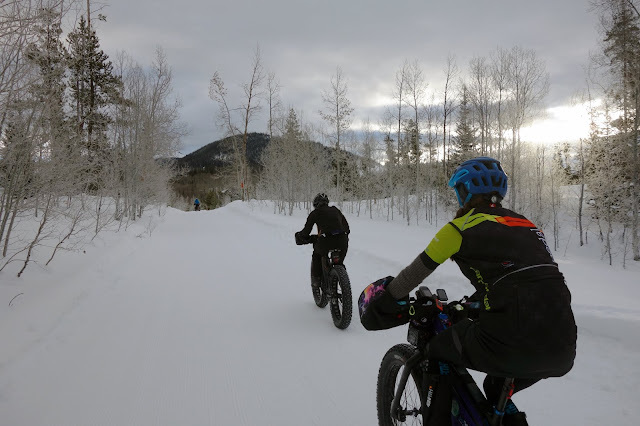 When I try to talk friends into signing up for the White Mountains 100: "Really, riding in Interior Alaska is nothing like riding here. It's actually fast." Yeah, after I posted I started thinking about the differences between Colorado and here. 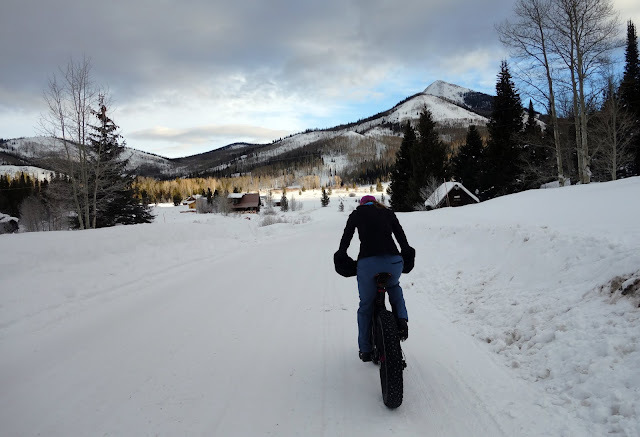 I've never fatbiked or skied in Colorado, but I've read about your really dry, soft snow. Plus, I imagine you've got a lot more snowmachine traffic, which churns up the trails. So, just write off my previous comment as coming from a spoiled Fairbanks-area brat. Thank you all! I appreciate the notes.